The Krannert Graduate Society of Black Managers is a professional organization of the Krannert Graduate School of Management at Purdue University that provides a forum for the discussion of issues affecting black and other underrepresented minority management students. KGSBM’s membership includes students pursuing Master’s and Ph.D. degrees in Management, Human Resources, and Industrial Administration. Dr. Cornell A. Bell distinguished himself in education with his personal involvement and dedication in helping provide opportunities to hundreds of students through the Business Opportunity Program. He was the director of the program for 37 years until his retirement in 2006 and was known as a father figure, mentor and even miracle worker to countless Purdue students. Even after his passing in 2009, his legacy extends through his alumni located around the world. 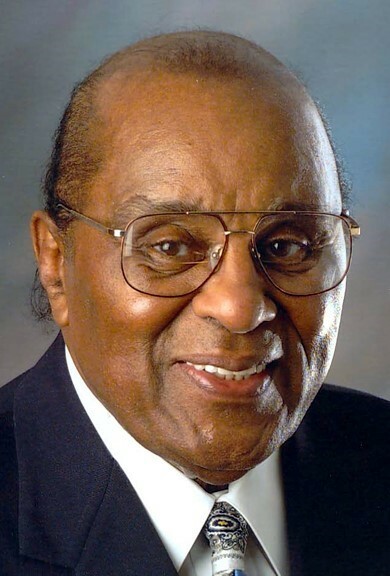 Born in Evansville, Indiana, Dr. Bell attended Indiana University, earning his bachelor’s degree in 1947 and his master’s in 1952. He received his doctoral degree from Purdue in 1972. In between, he worked as a chemist for Stauffer Chemical Co., taught science classes at Pulaski School in Gary, and served as guidance counselor, assistant principal and principal at Gary Froebel School and Gary Tolleston High School before taking the position at Krannert in 1969. As director/chairman of the Business Opportunity Program, which was designed to create a more diverse student body, Dr. Bell helped recruit hundreds of graduate and undergraduate students to the West Lafayette campus. He was also active with the Graduate Management Admission Council, nationally, to increase diversity in schools of business throughout the country. His efforts were widely recognized. He received the Special Boilermaker Award from the Purdue Alumni Association in 1987 for his contributions to the quality of student life at Purdue. He received the M. Beverley Stone Non-Academic Counseling Award in 1990, recognizing him as an individual who shows personal concern, gives unselfishly of time, and who shares love through outstanding service to Purdue students. He also received the Indiana Bell Award in 1991 and the Harold T. Amrine Visionary Award in 1994. Indiana Gov. Evan Bayh honored Dr. Bell with a Sagamore of the Wabash, the highest award given by the governor, in 1996. That year, in recognition of his extraordinary efforts, the Business Opportunity Program was renamed the Cornell A. Bell Business Opportunity Program.